FreezeStats – Fantasy Baseball Advice, Projections, Rankings, and STATS All Year! Fantasy Baseball Advice, Projections, Rankings, and STATS All Year! This series is going to be a little bit different than your typical buy/sell/hold article. I’ll be categorizing players as either HOT or COLD based on their performance over the past week. I won’t just be covering players that are available on the wire or can be bought for cheap. While those players will be discussed from time to time, I will also discuss the early round players who are showing improvements and could outperform their ADP or vice-versa. I’ll be referencing FanGraphs, BaseballSavant, etc showing metrics that back up my claims. Let’s get to some polarizing players over the last week. Would you believe that Hunter Dozier is hitting .300 with four homers and has dropped his strikeout rate by 11% from last year? His metrics back it up, he’s in the top seven percent in terms of average exit velocity, expected wOBA, and expected slugging. 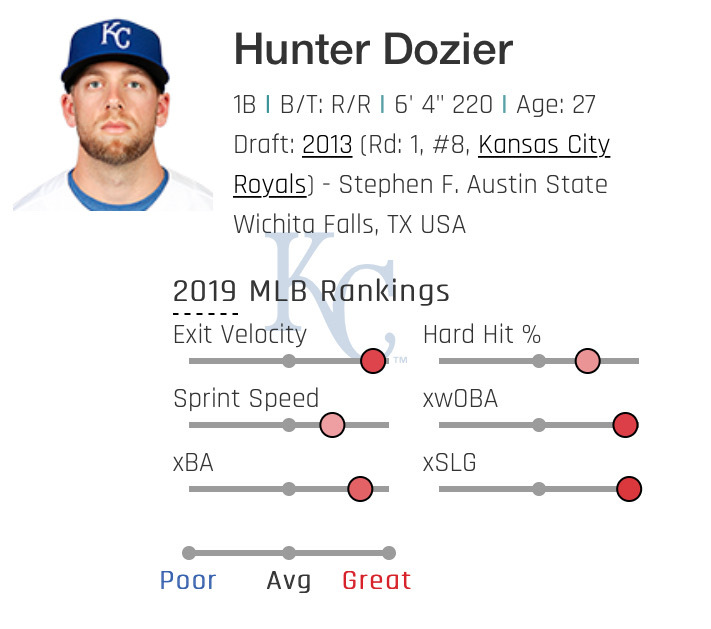 Dozier had a solid barrel rate last season but his high strikeout rate killed his batting average. Now that he’s improved his contact rate by six percent and his O-swing (swings outside the zone) by a whopping 12.8%, he’s become a complete hitter. He hasn’t even sacrificed his power or hard contact. That tells a nice story there. What’s also interesting is that his speed is above average. He only stole two bags on five attempts last year but given the Royals aggressiveness, I wouldn’t be surprised if Dozier chipped in with 5-8 stolen bases this year. I don’t think he’ll sustain a .300 BA but I’m BUYING here. Well, it’s official, the juiced ball is back! Altuve was hampered by injuries last year and now has blasted six bombs in the last week+. This is more than just the juiced ball though. Altuve has increased his launch angle to 16.2 degrees, an jump of nearly seven degrees from the last two seasons. He’s also hitting the ball harder, which is great given his new fly ball approach. Now, his contact rate is down a bit, so he might be selling out for power. That’s OK, because we have seen what it has done for Francisco Lindor and Jose Ramirez in previous seasons. Maybe Altuve’s average drops to .285-.290 but he has a legit shot at 30 homers if he can carry this approach through the entire season. I’d BUY him as a top 10 player but I doubt his owners are selling. Any chance I get to write about Ozuna, I do it. I loved Ozuna coming into the season and he has not disappointed hitting .293 with seven homers and even chipped in with two steals. His batted ball profile looks great, his launch angle is up nearly four percent and his barrel rate is at an impressive 15%. BUT, yes there’s a but, his contact rates are bad. Like, really bad. His in-zone contact is down 12%! That’s a big problem. Part of what made Ozuna so good was his ability to hit for power and limit the strikeouts. If his K% jumps to 25-26%, then he’s more of a .250-.260 hitter rather than a .290 hitter. The good news is, if he maintains his elevated fly ball rate, he could reach 30 to 35 homers. I’m holding and hoping his contact rate improves, if it does, he’s a HUGE BUY. Wait, Marcus Stroman is striking out more than a batter per inning?! It’s true and he’s really increased his slider usage at the expense of his sinker. The good news is he hasn’t sacrificed much in terms of ground ball rate. His slider is a very good pitch, it’s getting more horizontal movement and is allowing less contact on the pitch. Unfortunately for Stroman, the only other pitch that generates a swinging strike rate over 10% is his cutter at just over 11%. I like the pitch mix change but once the home runs start flying, his ERA is going to inflate. You likely got him on the cheap so I’d hold while he’s pitching well and flip him after a few more starts. This really pains me to write this about my beloved Mookie Betts but he’s off to a very slow start. He’s currently hitting just .212 with three homers and only one stolen base. What’s going on, a slow start or something else? Well actually, Betts’ O-Swing 13.6% with a swinging strike rate of 4%, both would be career lows. His swing rate sits at just 33.3%. He’s being ultra-patient and his contact rates are off the charts but it hasn’t translated into success. His walk rate is great but his BABIP is a paltry .220. That’s not going to last but it’s thanks to an extremely low 13.7% line drive rate. Let’s all sit back and relax, this is Mookie Betts we are talking about. He’s, of course, a BUY/HOLD. I’d buy him for $0.95 on the dollar if possible. Maybe you can flip Yelich for him? Then again Yelich is out of his mind right now with four homers in two games. Peraza turned a nice profit for owners last year who invested hitting for average, stealing bases and providing unexpected mid-teens power. The expectations were that he would hit atop an improved Reds lineup but the Reds have realized that getting on base is more important than speed. I discussed how I believed Peraza’s power was a mirage last season, here. This year, he’s hit one homer and stolen just one base while batting near the bottom of the Reds lineup. What’s really concerning is his plate discipline. He’s offered at pitches outside the zone over 50% of the time and has not drawn a single walk. His in-zone contact is still very good but he’s gotten behind in the count nearly 75% of the time and it’s lead to an uncharacteristic 26.4% strikeout rate. His contact rates are weak and his fly ball rate is 50% which is not ideal for a weak hitting speedster. I’d SELL for 85 cents on the dollar but wouldn’t give him away because I think he bounces back to give 80% of his production from last year. Aaron Nola has now given up five earned runs in three straight starts and owns a 7.66 ERA with a 1.66 WHIP. Scanning his metrics, his velocity looks good, pitch mix is fine, BABIP is neutral, so what is it? Well, his first-pitch strike rate is an abysmal 48.3%, down 21% from last year! Yes, 21%! Instead of getting ahead of batters nearly 70% of the time, he’s working from behind far too often which has elevated his walk rate. Combine that with a 60% strand rate and a home run rate three times higher than last year and here we are. Nola’s zone rate is OK, so I’d expect him to improve his F-Strike% and lower those walks. Given the juiced ball and his home park, Nola will likely end up with a HR/9 slightly over 1.0, so if you’re expecting a sub-3.00 ERA, you may be disappointed. I think something closer to 3.40-3.50 is where he ends up with a little over a strikeout per nine innings. I’m holding Nola unless you can’t get close to 100% of his preseason value. I could write about a dozen top 20 starters having poor starts to the season but let’s discuss Klubot. His 6.16 ERA and 1.84 WHIP are very ugly but his walk rate sits at a career-high 10.8%. He’s never had a walk rate higher than 6.6% in any full season in the Majors. His skills look fine to me but his zone rate is down five percent. The difference between Kluber and Nola is that Kluber is still getting ahead of hitters over 65% of the time. He’s suffering from an inflated BABIP (.390) and a low strand rate (60%). Both metrics will stabilize at some point and Kluber should get back to his low-3s ERA with a great WHIP. I’d probably slot him just ahead of Nola going forward and call him a moderate BUY candidate. Follow me @FreezeStats. Check out my work at FantasyPros and Pitcher List. Thank you for checking out my content. If you enjoy this work and want to see more, please feel free to donate. Last week did not start well but I was salvaged by Trevor Richards and Jeff Samardzija. Here are the results from last week. The ERA isn’t good, there’s no way around that but when you consider the league-wide ERA is 4.40, it’s not quite a killer. Besides, the quality start and win totals are solid and the 1.13 WHIP is fantastic. The average WHIP in MLB is currently 1.32, so that’s something! Overall, it was a mixed bag but Freddy Peralta did us in. I’ll try to avoid that blow-up, but that’s part of the game. Here are the streaming options for week 3 4/15-4/21. The Blue Jays are striking out 28% of the time, good (bad) for second most in the Majors. They are also batting just .202 with a putrid .273 wOBA. There are some rumblings about Vlad Jr, getting the call soon but I think we are still about a week away from that happening. Odorizzi has some serious strikeout upside in this matchup. His walk rate is very high but it’s not an issue with his zone rate and first pitch strike percentage; those are near league-average. Hitters aren’t chasing his pitches outside the zone but they also can’t hit them in the zone either. I’ll risk taking advantage of the Blue Jays aggressiveness and Stream. Here’s the deal. Caleb Smith might be the best Marlins starting pitcher this year. He utilizes a good slider, a solid changeup and his fastball is more than serviceable. I don’t love this matchup but Smith might be good enough to overcome a deep Nationals lineup at home. His swinging strike rate sits at 16.2% which ranks seventh among starters with over 10 innings pitched this season. 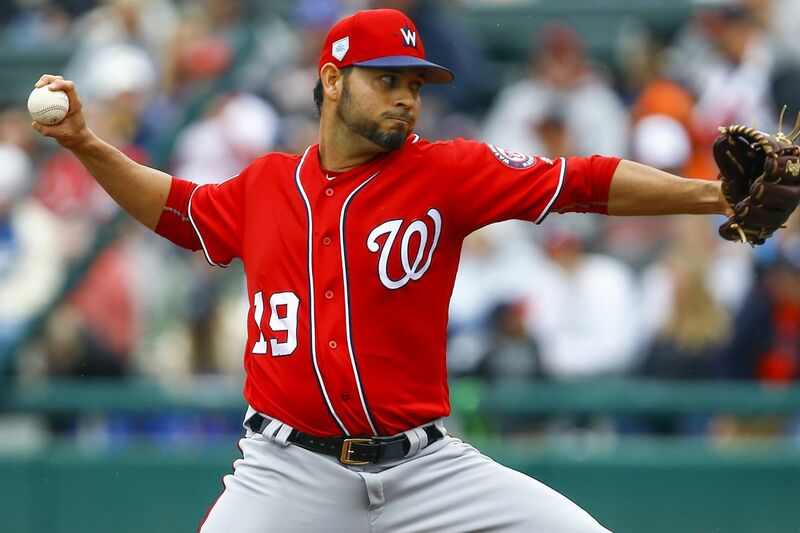 Anthony Rendon and Juan Soto are among the most difficult outs in baseball and Smith is going against Scherzer in this matchup. Let’s put this option under the stream but don’t expect a win or quality start here. I’m expecting 5+IP with a couple of earned runs and a 1.25ish WHIP with 6 strikeouts. If that will help you mid-week, go ahead and stream. Holland had a rough couple of starts but really got on track against the Padres at home this week giving up one ER with nine strikeouts. He relies heavily on his breaking balls to put away hitters via the strikeout. The Pirates have produced just an 86 wRC+ thus far in 2019. I would prefer this game be played in Oracle Park but PNC Park plays well for pitchers. Holland goes up against Chris Archer in this one, so a win may be difficult but I like Holland’s chances to reach a quality start with solid ratios and 5+ strikeouts. Stream. If you’re on Twitter at all, you’ll notice many people taking their victory laps on players through the first week or two. I’m guilty of it. Just look at my tweets about Ketel Marte or Zach Eflin. I have failed to mention Jackie Bradley Jr. or Travis Shaw, two players I was very high on in the offseason (and still am). The point is, there’s more than 90% of the season left to be played, so we need to take a step back. I’ve included two charts below that summarize sample sizes for hitters and pitchers and the “stabilizing point” for many of the metrics. There’s been a lot of research over the years where relative conclusions have been made and I’m not a statistical expert, so I am taking their word for it. What the stabilizing point means is that a player is likely to repeat his performance if his skills remain exactly the same. It is not a predictor of future performance. A player who changes his approach or gains/loses skills renders the previous sample size data to be somewhat meaningless. However, baseball players are creatures of habit, so you can at least feel comfortable knowing that unless you hear, read, or see a change, this data can be useful going forward. Let’s dive into hitters metrics. What we notice is that batting average, BABIP, extra-base hit rate, and line drive rate won’t stabilize within a single season. We can essentially ignore them for in terms of a sample size to date, except of course realizing a player with a .100 BABIP or a .500 BABIP will normalize. What we do see is that swing rate (swing%) and strikeout rate (K%) stabilize at just 50 and 60 plate appearances respectively. We already have some hitters beyond or approaching these numbers. We can see that players like Jose Peraza, Jonathan Schoop, and Adalberto Mondesi have extremely high swing rates (over 60%) and are likely to remain high to rest of the season unless they change their approach. On the other end of the spectrum Ben Zobrist, Andrew McCutchen, and Mookie Betts have well below-average swing rates. Mookie continues to be a more patient hitter than he was in his early 20s and he’s become a much more complete player. Cutch has always been patient and now that he’s leading off for the Phillies, he’s seeing even more pitches which is great! Now for strikeout rate. Matt Chapman is striking out just 8.6% of the time compared to 23.7% last year. This is huge. Also interesting to note, Cody Bellinger has only struck out just 11.8% of the time after 23.9% in 2018. We aren’t at the stabilizing point just yet and opposing pitcher quality can play a role, so I’m not going to draw any hard conclusions. Even still, it looks like both Bellinger and Chapman have worked on and improved their plate discipline and contact rates. They could both be in for monster years and maybe even in the discussion for MVP. On the other hand, Ramon Laureano, Willy Adames, and Aaron Judge have elevated strikeout rates early on. We knew they would have elevated K rates and I’m confident Aaron Judge will still succeed despite the swing and miss because he’s done it before. But, Laureano and Adames have me concerned. They don’t have Judge’s elite exit velocities and could be at risk of losing playing time especially with their sub-3.0% walk rates. A few other metrics to look at soon are the Statcast metrics. Depending on how much contact a player is making, somewhere between 16 and 20 games played those metric stabilize. The aforementioned Bellinger and Christian Yelich both averaging nearly 96 MPH on balls in play. Yoan Moncada is another player who has had a hot start and seems to be putting up elite metrics to back it up. Don’t worry about Ronald Acuna, he’s striking the ball well and things should turn around for him quickly (He smoked a home run last night). I have some concern for Charlie Blackmon, Adam Jones, and Jurickson Profar. They are near the bottom of the list in terms of exit velocity, so keep an eye on them moving forward. Well, it looks like home run rates will not stabilize within a single season. Let’s look at a couple of pitchers who have thrown enough innings to warrant a “stable” strikeout rate. Of course, Max Scherzer has another great strikeout rate sporting a 35.9% K rate through his first 19 innings. He looks primed to finish inside the top three SPs once again this year. Jose Berrios has a 27.6% strikeout rate through his first three starts after 25.4% K rate last year. It will be interesting to see if he can improve on his strikeout rate for the second straight year. I’m concerned about Miles Mikolas who did not post high strikeout totals last year but his K rate through 16 innings this year is just 11.3%. Keep an eye on him, he may not be shallow mixed league worthy going forward. Ground ball and fly ball rates also stabilize relatively quickly. Take Justin Verlander, who succeeds by throwing high heat up in the zone. He gives up a lot of weak fly balls and popups with this strategy. So far through his first three starts, his ground ball rate sits at 45.8% after a groundball rate of just 29.1% last year. That’s a stark difference. We are still at least one start away from the stabilizing point but he’s throwing his fastball less often (12% less) and introducing a changeup. Given the pitch mix change, the increased groundball rate is starting to make some sense. Launch angle is the Statcast metric that stabilizes the quickest. There’s Marco Estrada with a launch angle of an incredible 34.5 degrees! This is what he does as his career LA is 21.6 degrees but he typically induces a ton of popups. Currently, his popup rate is an insane 30%. That won’t last but he might be a decent streamer when he pitches at home in that big ballpark. Scherzer’s launch angle is just 11.3 degrees after 20.3 degrees last year. He’s another pitcher who succeeds similarly to Verlander by throwing high-heat. However, there has not been any changes with his current pitch mix. It’s something to monitor but it could mean fewer home runs. Scherzer has averaged 25.8 home runs per year the last four seasons. My apologies for missing last week, things were hectic to start the season! I’m back and I plan on getting a weekly article out either on Saturday or Sunday for starting pitcher streaming options for the following week. I’ll be using the FantasyPros ownership rate that combines Yahoo and ESPN ownership rates. The threshold for a streamer is 25% owned and under. I did this for the first time all of last year and here’s how I did last season. I love looking back and realizing I streamed Matt Boyd a total of seven times! Overall, he performed well for me and now he’s breaking out this year! No streaming Boyd this year as his ownership has jumped to about 40%, which is far too low. Let’s find out who this year’s Matt Boyd is. Shark is back, well kind of. The Rockies are one of the worst teams offensively on the road. In fact, last year, they produced a 79 wRC+ on the road, that’s 21% below league average. They are just as bad to start this year as well. Couple that with the game being at home in Oracle Park and I just don’t see a poor outing from Samardzija. The problem here is, I don’t see much upside in terms of strikeouts. I’d stream him if you are looking for ratios but not much else. When I said I wanted strikeout upside, I meant it! German has control issues and is inconsistent, there’s no doubt about that. His strikeout upside is huge, however. Wait, am I backtracking? The White Sox have had a nice start to the season with a better lineup than appears on paper. Yoan Moncada and Tim Anderson have been hot recently and the middle of the order looks a little scary with Jose Abreu and Eloy Jimenez. I fear that lefty power bats, Yonder Alonso, and Daniel Palka could do some damage as well. There’s a ton of strikeout upside here but given his scary walk rates, I’m staying away from German in this one. Yup, I’m backtracking. Early in the offseason, I covered so hitters who greatly underperformed their homer uns per barrel rate (HR/BRL%). It’s a simple metric that includes barrels which is the best indicator of power we have. There are many factors that can sway this rate such as the home ballpark, weather, and the horizontal launch angle (essentially, what part of the park was the ball hit). I’ll cover some hitters that overperformed based on this metric in 2018 and their outlooks for this upcoming season. If you want to see my underperformers, click here. 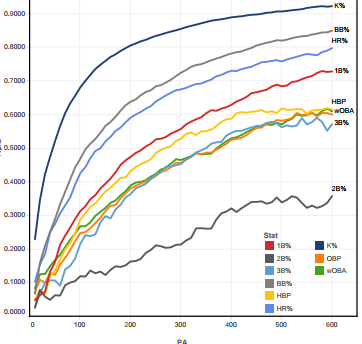 Keep in mind since the ball was de-juiced last season, the MLB average HR/BRL was 66.1%. There are a number of factors including home park, weather, and part of the park the barreled ball was hit to that could sway a hitter’s overall HR/BRL one way or the other. I was a huge fan of Albies coming into 2018 and I saw significant upside due to his great contact rates, speed, and developing power. He was a steal going around pick 150 last year but the helium has caught Albies ADP this year now going around 62 overall. He smashed 24 homers as a 21-year-old, so naturally, he’s considered a mid-20s hitter with speed. Well, Statcast shows us that Albies is in the bottom 25% for average exit velocity on line drives and fly balls (EV LD/FB) and the bottom 15% in balls hit over 95 MPH. He’s nuzzled right in between known slap hitters Joe Panik and Orlando Arcia. Talk about maximizing his hard contact! From June 1st through the end of the season Albies hit just 10 homers. I believe this is where his power currently sits. Referencing Eno Sarris’ new research on park factors, SunTrust Park is in the bottom six for home runs per high drive%. I love Albies longterm, but he does not have many factors on his side that point towards a repeat of his power output from 2018. Schoop averaged 28.5 home runs per years between 2016 and 2017. Last year, however, his power metrics were on par with Albies and in fact, his EV LD/FB was actually 1.5 MPH lower than Albies. Schoop has been fortunate to play his home games in Camden Yards in Baltimore which by Sarris’ article, measures as the second best park for HR/HD%. The move in the second half to Milwaukee certainly wasn’t much of a downgrade either. Managing 21 home runs after nearly 29 per season is a disappointment. Will he bounce back? I’m skeptical. In 2017, he managed 32 homers on just 34 barrels. Based on league average numbers, he should have hit more like 26. Last year, he managed just 18 barreled balls but was extremely fortunate to hit those 21 homers. Now in Minnesota and likely hitting in sixth or even seventh, he should see a steep decrease in HR/BRL%. Target Field plays in the bottom third of all parks for power. Camargo was a surprising breakout in 2018 but unfortunately for him, the Braves signed Josh Donaldson for a one-year prove it deal. Camargo goes back to a bit of a utility role where he can fill in a 3B, SS, and even the outfield. Donaldson is far from a pillar of success, so Camargo still could have some value in 2019. He hit 19 homers last year on just 359 balls in play with a 15% HR/FB rate. Prior to 2018, he hadn’t posted a double-digit HR/FB at any level where he played more than 33 games. We already know SunTrust isn’t a great park for power, but Camargo was able to reach his 19 homers on just 18 barreled balls. Without a clear path to playing time, I’d stay away from Camargo because he doesn’t have any real speed to fall back on if the power takes a significant hit. Reddick may have been the luckiest hitter in terms of HR/BRL% on 2018. He totaled a weak 14 barrels but smacked 17 homers and averaged a sub-90 MPH on average on his line drives and fly balls. Maybe the Crawford boxes stole a few outs which helped his totals. I’m not sure, Minute Maid Park plays near league-average overall but right-handed hitters get an edge. While only slightly above league-average in HR/BRL in 2017, one would think he would regress some with the de-juiced ball. His power metrics are clearly on the decline and he did not earn a jump in his HR?FB rate. I feel like the 32-year-old Reddick is about to come back down to earth ceding playing time to prospect Kyle Tucker. Anderson hit 20 homers on 20 barrels in 2018 but plays in a favorable park in Chicago. Typically a player who can hit 20 home runs and steal 20 bases is a sought after commodity in the fantasy realm. However, Anderson is going just outside of the top 150 overall. It doesn’t feel like the fantasy community is believing in Anderson’s power either. His poor plate discipline leaves Anderson susceptible to long lulls within the season. His inability to get on base (.281 OBP in 2018) is likely to drop him to eighth or ninth in the lineup. Anderson has back-to-back 606 plate appearance seasons and I seem to think a repeat is unlikely. Anderson’s speed provides some value but the rest of his profile seems a little less appealing. How Lowrie was unlucky in 2017 with the juiced balls but was fortunate in 2018 with the de-juiced balls, I don’t know. It’s not as though Oakland is hitter’s haven but Lowrie had a late-season breakout of sorts. An unlikely career-high home run total of 23 from a 34-year-old seemingly on the decline had people buzzing. The Mets picked him and the oft-injured second basemen will be starting the year on the IL. I suppose we could have seen this coming after Lowrie managed 28 barrels in 2017 but his total dropped to 25 in 2018. Without a juiced ball, it appears Lowrie was a bit fortunate last year. Given his start on the IL, I’d be surprised if he plays every day instead, splitting time with Jeff McNeil. To expect anything more 12-15 homers this year would be a fools’ prediction. Herrera has literally been showing up on all of my pessimistic lists and here he is again. This is a guy who barreled fewer balls in 2018 than he did in 2017 but ended up with a career-high 22 home runs after just 14 in 2017. How does that work when the ball was clearly de-juiced in 2018? Well, that can I say, the man was lucky. The Phillies appear to be hitting him sixth after the opening day game on Thursday. I’d like to give the Phillies a pro-tip and drop him the eighth. I’d rather see Cesar Hernandez and even Maikel Franco hitting ahead of him. The one aspect going Herrera’s way is the home ballpark. Even with calling Citizen’s Bank Ballpark home, he hadn’t reached double-digit in terms of HR/FB rate until 2018. Some might say he’s improving but his batted ball profile was the worst of his career. His hard contact was career-low and his soft contact and popup rates were career-highs. He looks like more of a 15 homer/6-8 SB type of player. Andujar benefits from playing his home games at Yankee Stadium but not as much as you’d think. He’s a right-handed hitter who has a very high pull rate so he doesn’t benefit from the short porch in right field. He’s also a hitter who puts a high volume of balls in play. He swings often and makes a ton of contact. So, he’ll keep his strikeout rate low along with his walk rate. That’s a risky approach that can result in a lot of weak contact chasing pitches outside the zone. Checking his power metrics tell me that he truly requires a high volume of balls in play to hit for high power. He’s right near the 50th percentile for average exit velocity on line drives and fly balls (EV LD/FB) and only averaged 389 feet on his home runs in 2018. That’s in the bottom 25% last year tied with Johan Camargo and Ian Kinsler. He’s only 24 years old so power growth is certainly a possibility, but I’ll take the under on 27 homers for 2019. Just before the start of the 2018 regular season, I did similar research looking at hitter’s ground out air out ratios (GO/AO). It spawned from an article Jeff Zimmerman wrote about which spring statistics have the highest correlation to the regular season. Most spring numbers don’t matter, but an increase in the percentage of balls a player is hitting in the air may signify an approach change. With an entire offseason for players to work on a change such as trying to elevate the ball more, could be important when trying to identify potential power spikes or breakouts. Last year, I wrote about Ozzie Albies, Brandon Nimmo, and Steven Duggar. So Albies was a great one and Nimmo wasn’t too bad either; I’ll take the “L” on Duggar. In addition to those three, guys like Jesus Aguilar, Kiké Hernandez, and Christian Villanueva showed up on this list; all ended up with career-highs in home runs. With a limited sample, I’m mostly looking at a minimum of 50 plate appearances and 35 balls in play for these players. There’s not much more we can say about Goldy because he’s still a monster at the plate. His extreme fly ball approach this spring is interesting because he has never had a GO/AO ratio below 1.00 in any season. He’s almost literally hitting everything in the air this spring. Last year was his lowest ground ball rate at 38.6% but is regularly in the mid-40s. If he carries this approach to the regular season, he has a shot at his first 40-homer campaign. He might take a hit in batting average but an upside of .270-40-110 looks pretty nice. Well, this could be scary. At age-19 Soto had shown power to all fields but carried a low fly ball rate at 28.8% in 2018. This spring, It’s only been 59 plate appearances, but based on Jeff Zimmerman’s table from last year, that pegs Soto between a 43% and 44% ground ball rate. That’s potentially significant because his ground ball rate was all the way up at 53.7% last year. Now, his line drive rate was relatively low at 17.5%, so I’d expect to see that jump up to 20-22% given his profile. That would still leave a nice 5% bump in fly balls for Soto. The question remains, can he maintain a lofty HR/FB rate which was an impressive 24.7% in 2018? Soto hits the majority of his fly balls to the opposite field. He was able to maintain a 19.6% HR/FB on those fly balls the other way which ranked seventh in all of baseball last year. Here are the names ahead of him: Aaron Judge, Jesus Aguilar, Khris Davis, J.D. Martinez, Giancarlo Stanton, and the aforementioned Paul Goldschmidt. I would say, that list depicts power hitters to a “T.” Soto’s 47.8% hard contact on those balls backs up the high home run rate to the opposite field. I was skeptical coming into the season about Soto due to a high HR/FB rate and elevated BABIP ticketed for regression (which I still believe), but I’m coming around on his power. I’m a little disappointed that I missed out on shares of Soto this year but I still think top 30 overall is just too pricey. Is Abreu changing his approach? He’s given us a pretty good sample and he’s walked just once this spring and stuck out 12 times putting the ball in play a total of 51 times. He’s never been a patient hitter and it looks like he’s elevating the ball more as well with four homers and nine extra-base hits. Referencing Zimmerman’s data, Abreu would carry an approximate 42% GB rate compared to a career 45.6% GB%. Abreu is a notorious slow starter so it’ll be interesting to see if he can buck that trend this year with more fly balls. I’ll be watching Abreu early this year because he had some rough injuries in the second half last year curbing his production. If he can have a solid April, he could end up back around the top 30 overall with some nice value. Nimmo once again shows up on this list. After a 0.87 GO/AO ratio last spring, he ended up right around his career rate in the regular season of 1.35. Even with a similar GO/AO ratio, he managed a career-best 17 homers. This spring, Nimmo has really gone to the extreme hitting nearly everything in the air. The data says he should decrease his fly ball rate by nearly seven percent this year compared to last season. His power numbers aren’t off the charts with just two homers and six extra-base hits but he’s cut his strikeout rate and is hitting a solid .291. After a 2018 breakout of sorts with 53 extra base hits, it seems like Nimmo is making even more of an effort to elevate the ball this spring. I worry a little about his batting average given his patience and contact rates, but given his approach this spring we may be looking at 20-25 homers this year from Nimmo. Margot is once again putting balls in the air his spring. This approach has not worked out for him thus far in the majors and it resulted in just a 5.5% HR/FB rate in 2018. There’s hope here because while he improved his hard contact and decreased his soft contact last year, his home run rate was nearly cut in half. He was middle of the pack in terms of line drive/fly ball exit velocity last year, so there’s positive regression coming. Margot is still just 24 years old and I was invested in Margot heavily last year to my disappointment. However, Margot remains firm on putting the ball in the air this spring and it’s helped him hit .315 with three homers and eight XBH. The Padres have a crowded outfield, so Margot will need to earn his keep. I think the power should bounce back to the mid-teens given the opportunity. If he learns to be a better base stealer given his elite speed (96th percentile via BaseballSavant), there might finally be the breakout for Margot I’ve been hoping for. Hernandez mashed an impressive 21 home runs in 2018. I’m not sure anyone saw that coming, mostly due to lack of playing time. Hernandez has outright won the second base job for the Dodgers to start 2019. Given the depth of the roster, Hernandez will likely sit against tough righties given his splits. That being said, he can also play the outfield and should compile over 500 plate appearances in 2019. His improved contact rates have cut his strikeout rates each of the last three seasons. He’ll need to continue those high contact rates given his fly ball approach if he wants to remain in the lineup. I see a player that’s similar to Nimmo in Hernandez but without as much speed and more batting average risk. He’s still a great utility guy to roster as he’s eligible at multiple positions. Soler missed most of the season with an injury and has yet to accrue more than 405 PA or hit more than 12 homers in a single season. We know Soler has power, he mashed 24 homers in 2017 at Triple-A in just 74 games. He pulled that off with a 45% fly ball rate but it dipped to just 34% last year. If Soler can maintain his heavy fly ball approach, we might finally see the breakout we’ve been waiting for. He’s going to need to maintain an improved zone contact rate like he had last season and of course, requires a good bill of health. I’m sure he will struggle to maintain an average above .250 if he starts launching balls in the air at a 45% rate, but he went off the board after pick 300, so he’s basically free. If you’re in a 10 or 12 team league, he literally is free. 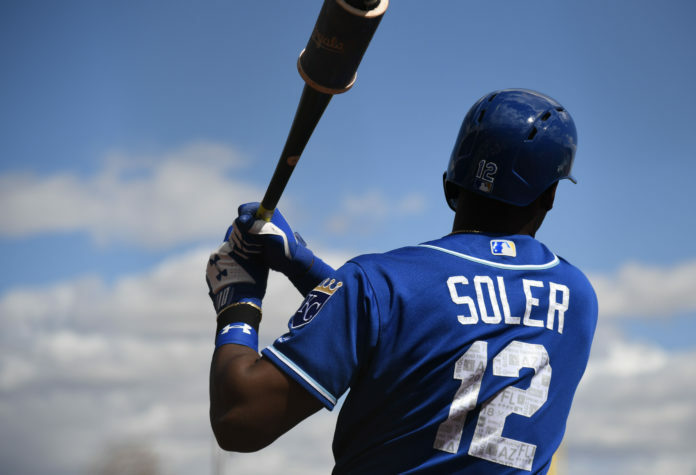 He’s entering his age-27 season, so it could be now or never for Soler. Schrock is an off-the-radar fantasy player who will start the year at Triple-A for the Cardinals. Schrock came over to the Cardinals from the Athletics and brings a contract-first approach. He’s never shown much power and has moderate speed but has never posted a strikeout rate above 9.2% at any level. Now, at age-24, he’s starting to modify his approach putting more balls in the air. Schrock previously hit ground balls over 50% of the time and looks to be elevated more the last couple of seasons and carried it into the spring. He’s a longshot to break out as he’s blocked at the moment by Kolten Wong but might be someone to keep an eye on if an injury occurs in the St. Louis infield. If Schrock unlocks some power with his high contact approach, he might just be useful in mixed formats later in the year. Hampson is currently locked into a battle for the second base job with Ryan McMahon. Both are having great springs and I smell a platoon a-brewin’. Unfortunately, the righty, Hampson would see fewer plate appearances if that is the case. Hampson has game-changing speed which is why fantasy owners are excited about him but his average to slightly below-average power could play up in Colorado. Typically, I’d expect an improvement on his power numbers from the minors but the Rockies’ minor league parks play up to power as well. Still, a jump in fly ball rate could make provide a few more home runs for Hampson over the course of the season. The range of outcomes is extremely large with Hampson. Over 600 PA, Hampson could hit 12 HR and steal 35 bases. Then again, in the short-side platoon, he may end up with a handful of HR and 15-18 SB. Given his potential approach change, I might set his HR ceiling at 15, so if you have room, go ahead and stash him if he’s on your waiver wire. Well, last year I hit on two out of eight bold predictions. I guess my prediction on Ozzie Albies wasn’t terrible. I projected 25 homers and 30 steals. I hit on the power, but he did not run as much as I hoped. I’m most proud of my long-shot (at the time) that Patrick Corbin would finish the season as a top 20 SP. I had him ranked in the low-40s and most sites had him between the 60th and 80th SP off the boards, so this was extremely bold. Yes, I’m bragging about my one really good bold prediction, but I also had some really bad ones like Delino DeShields over Starling Marte…. Whoops. Alright, enough intro. I want to focus my bold predictions within the fantasy realm and write a quick blurb as to why I feel there’s a chance they come to fruition. 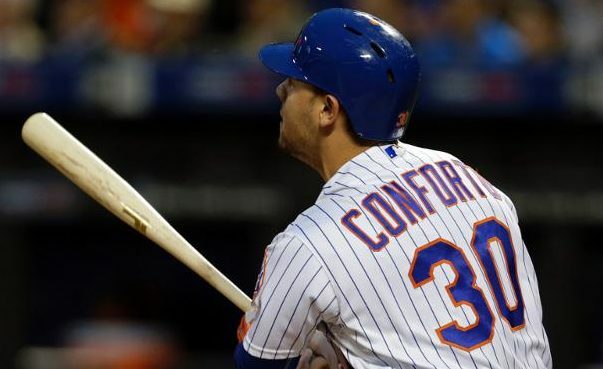 Conforto ended 2018 with 29 home runs but spent a good portion of the first two months recovering and gaining strength from his offseason shoulder surgery. He showed us he was healthy in the second half by hitting 17 home runs in just 68 games. I don’t love the prorating game as much as the next person but that’s 40 home runs across a 160 game pace. Last year, Nolan Arenado led the National League with 38 home runs. The other candidates Conforto will have to overcome include Manny Machado, Bryce Harper, Trevor Story, Rhys Hoskins, and I suppose my guy Hunter Renfroe (see below). The BAT projects Arenado to lead the National League with 40 homers. Can a healthy Conforto reach 40 this year? I think so, especially with power down across the board last year, Conforto is my guy this year and I’ve ranked him inside the top 60 overall. Bradley Jr. has modified his swing and is working with J.D. Martinez. I’ve been putting my money where my mouth is grabbing JBJ pretty much everywhere. I’ve got him in my PitcherList Best Ball draft, TGFBI, and my 12-team home league. Bradley finished 2018 with just 13 homers and a .234 average. As a result, he’s being drafted around 230 overall. However, he stole a career-best 17 bags on only 18 attempts. Yes, he’s faster than you think. He’s likely to hit seventh or eighth in a stacked Red Sox lineup which isn’t great but not a death sentence in a deep AL lineup. Bradley’s hard-hit rates and exit velocities are up with the big boys and he was extremely unlucky on his barrels last year. This is a guy who is still in his prime and hit 26 home runs while hitting .267 in 2016. If he gets back to 25 homers and 15 steals with a .260 average, that should be right near Aaron Hicks just inside the top 100. I wanted to go extremely bold and have Renfroe finish the season ranked higher than Davis, but that would be nuts. Davis is so steady with 40+ homers and 100+ RBI. Unfortunately, I don’t think Renfroe will get the at-bats to reach 100 RBI. So, how can Renfroe become Khris Davis? First off, Renfroe hit 18 home runs in the second half of 2018, so we know he has elite power. I tweeted out a comparison of Davis from 2015 and Renfroe from 2018 back in January. Their results and Statcast metrics were nearly identical. The outfield in San Diego is crowded so something does have to give in order for this prediction to come to fruition. To qualify, Renfroe needs to hit over 35 homers and drive in 90 runs in 2019 and become a consensus top-100 player in 2020 drafts. Victor Robles is more valuable than Vladimir Guerrero and Juan Soto in standard 5×5 Roto value. The hype on both Soto and Guerrero is understandable. Soto, at age-19, looked like a 10-year veteran and by all accounts, Vlad has the best bat in the Minors since Mike Trout. Both are going inside the top 42 overall since February 1st. Robles, while has seen a massive jump in ADP, is still going just after pick 100. Here’s my thinking, coming into 2018, Robles was the second-ranked prospect after Ronald Acuña but a shoulder injury derailed his season. Robles has elite speed, like 40 SB-type speed. His power hasn’t quite developed as he’s just 21 but has been graded out with 50-raw power. We’ve seen plenty of low-to-moderate power hitters come up and increase their home run production. Robles’ high-Contact, high-BABIP profile gives him a solid batting average floor. A high-end, realistic projection for Robles is something like .290 18 HR 32 SB. That’s extremely similar to Starling Marte’s 2018 who finished 29th on the Razzball Player Rater. Vladitio is already dealing with an injury, but Robles over Soto would be extremely bold based on ADP. I currently have Soto at 39 overall and Guerrero at 60, so there you have it. Anthony Alford is fantasy relevant in 12-team leagues in the second half. That means, he’s either a top 260 overall player or a top 175 hitter in the second half of 2019. The Blue Jays have a stacked farm system, we know that. Before Vlad and Bo Bichette, there was Anthony Alford. He’s still just 24 years old with only 28 plate appearances in the big leagues. The outfielders currently on the Major League roster are Randal Grichuk, Kevin Pillar, Billy McKinney, and Teoscar Hernandez. I’m not sold on McKinney or Hernandez and the Blue Jays are rebuilding. They need to see what they have in Alford. He’s had a nice spring which is nearly meaningless unless you’re like Alford trying to fight for a spot on the roster. He’s going 750 overall in drafts and therefore undrafted in 99% of leagues; that’s what makes this bold. He has good speed and some pop and was a top 25 prospect once upon a time. With playing time, he could hit a handful of homers and steal double-digit bases in the second half to make this prediction a reality. Now, this is BOLD! Brinson hit .199 with a 30% strikeout rate last year. Yikes. 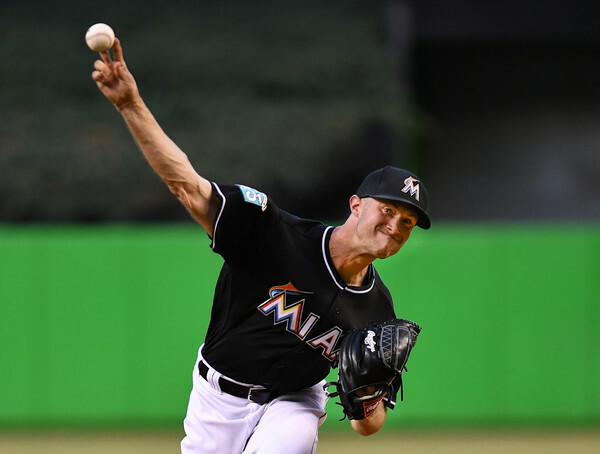 He was the top prospect from Milwaukee in the Christian Yelich trade before the 2018 season. His 2018 was brutal, there’s no doubt but he was a top 20 prospect as recently as one year ago. Brinson is crushing this spring but I’m not putting much weight into that. 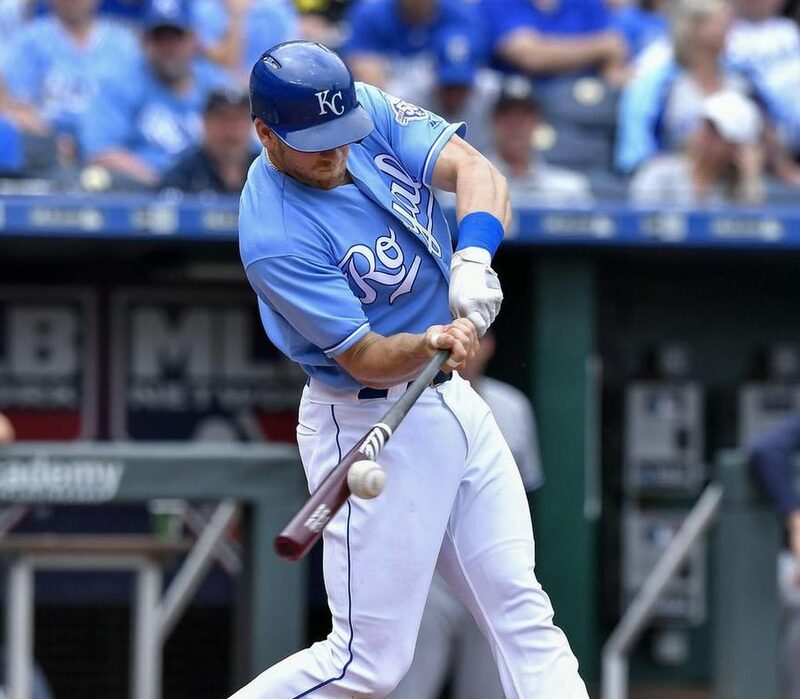 He’s modified his swing to stay in the zone longer increasing his probability for contact. That’s a small adjustment but one that could help vault Brinson to the next level. Last year he’s was very unlucky with a .257 BABIP. His xBABIP was .301 and xHR was 14 per xStats.org. Keep in mind, that’s in just over 400 plate appearances. Per BaseballSavant, he was just inside the top third of hitters on average exit velocity on fly balls and line drives (EV FB/LD). Where things really get interesting is his speed. He hasn’t stolen many bases but regularly stole 20+ bags in the minors. His sprint speed is in the top 96% of the league. If he can hit 22-24 HR with 15-18 steals, he will provide more value than an often injured Pollack. I like Pollack and I think if he’s healthy, he’s a top 50 player. I just don’t expect more than 400 plate appearances from him and believe these two players are more similar than you think. I need quite a bit of help here, but Pollack’s injury history gives this prediction some life. Ray’s walk rate was brutal in 2018 at 13.3% and over five walks per nine innings. Walks always seem to be an issue for Ray. Even in his breakout of 2017, his walk rate was over 10%. What he can do and always has been able to do is strike batters out at a high clip. Do you know who else had issues with walks but transformed into a Cy Young winner? How about Blake Snell? Snell’s walk rates the years prior to 2018 were 12.7% and 10.8%. Both pitchers throw hard and have good breaking balls. Snell ramped his fastball velocity up in 2018 averaging over 96 MPH. Ray, on the other hand, saw a slight dip in his velocity last season. I think for Ray, velocity is key because his fastball used to be a plus pitch for him with a 12.3 pitch value in 2017 but down to -3.2 in 2018. Obviously, Ray needs to get his walks under control as well but if his velocity looks good and he cuts down on the walk rate, we are a lucky BABIP away from a Blake Snell-type season. It’s finally happening, Matt Strahm is likely joining the Padres starting rotation. He was a starter in Royals system in 2015 and 2016 and has never thrown more than 125 innings in a single season. But, Strahm put on a bunch of weight in an unorthodox way to help build strength to hold up over the course of a full season. He’s reportedly hitting 96 MPH on the gun this spring. He throws four pitches and has a great fastball and curveball. If he can develop either his change or curve, he could not only have great strikeout rates but go deeper into games. I’d only expect a maximum of 150 innings this year but with 160+ strikeouts and good ratios, that’s easily top 50. Now for part two. This is a spin-off if the Matt Strahm bold prediction because I had the Strahm prediction, pegged about a month ago. Now, he’s being drafted just outside of the top 50 SPs. This is bold because the Padres don’t have a single pitcher drafted as a top 50 starter. Lucchesi is the closest at 55 and 195 overall. I love Lucchesi this year who was successful last year with two pitches and is adding a cutter this spring. The other possible top 50 options include extreme riser Chris Paddack (441), Matt Strahm (386), and Robbie Erlin (577). Paddack has had massive inflation with a dominant spring. He looks like a prime candidate to make the rotation out of spring. He’s just 23 years old and coming off of an injury. Don’t expect more than 125 innings, but he might just be good enough to sneak into the top 50. While I had this prediction drafted up about two weeks ago, I’ve got to give some credit to @BatflipCrazy for throwing this out first on his podcast this week. Great call! I get the hype on Nick Pivetta, I’m not even low on him as I have him as my 35th SP. His K-BB% is fantastic. He seemed to be unlucky in terms of ERA and BABIP last season based on all ERA-estimators. The Phillies had one of the worst defenses by Fangraphs DEF metrics last year. They upgraded by adding Jean Segura at shortstop and replacing Rhys Hoskins in left field with Andrew McCutchen and the aforementioned Hoskins moving over to his natural position, first base. So while I expect both to improve, let’s compare the two by the numbers. Pivetta has the better strikeout upside, that’s evident in the K-BB% and SwStr%. However, Eflin’s FIP matched Pivetta’s thanks to inducing more weak contact and limiting hard contact/home runs. Elfin has a good slider and changeup to go with a 95 MPH fastball. That sounds similar to Pivetta’s repertoire, doesn’t it? I actually think Eflin has some more strikeout upside in that arm as well. Given his well-above-average control and ability to limit hard contact, I think the strikeout rate could push Eflin over the top of Pivetta in 2019. I’ll add to this prediction that Eflin will be drafted above Pivetta in 2020 drafts as well. JG on Pitching Streamers 9/17 – 9/19 – Right Near Da Beach Boyyyyyyyyyd!